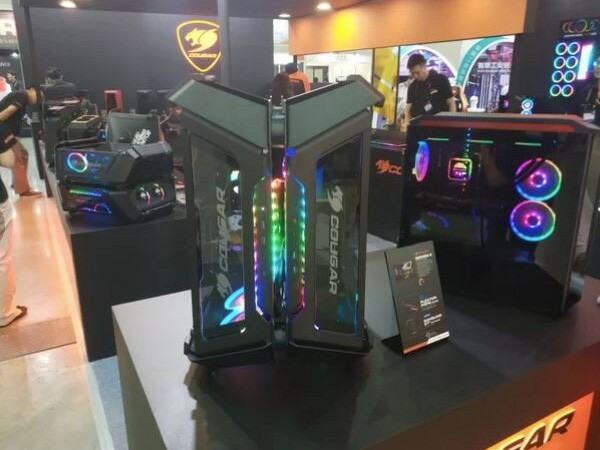 Cougar had several interesting products to show during the Computex 2018. The most impressive product was the Gemini X, a $900 case that can accommodate two systems. Furthermore the company has unveiled the Gemini T case and four new power supplies. The Gemini X is a huge full-tower case which can be installed vertically or horizontally. Cougar has installed tempered glass panels on both sides and on the front. Although there isn't any specific information on this case, we believe that each side is dedicated to one setup. According to the pictures, we see two chambers and a lot of space for watercooling setups on the top. 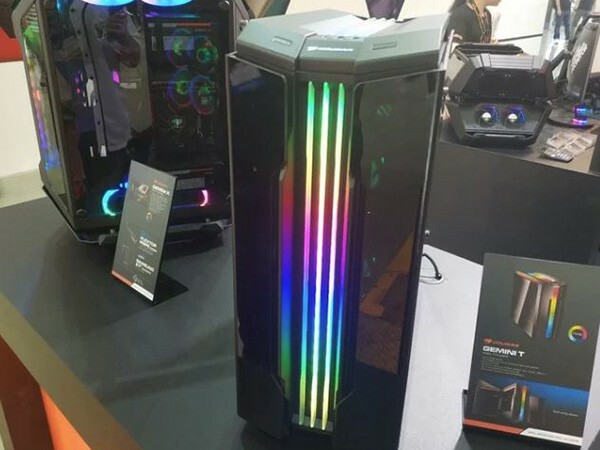 Cougar has unveiled another member of the Gemini series, the mid-tower Gemini-T which will cost $170 USD. 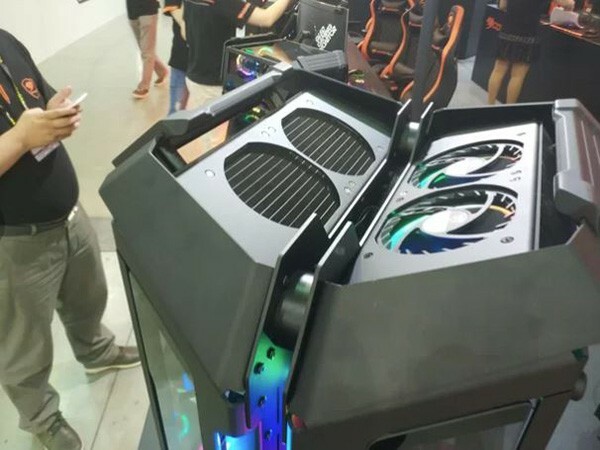 This case features the same RGB lighting of the Gemini X and incorporates a gull-wing tempered glass door design. Last but not least, Cougar has added a new PSU line called BXM. With the BXM series, the company adds three members with 700W, 850W and 1KW capacities. This is a mainstream line so you will not get any RGB lighting or additional feature. Each PSU sports 80 Plus Bronze efficiency and a semi-modular design. Alongside the BXM series, Cougar has unveiled the flagship line PXF. At the moment this series will include only one model with 1050W capacity, 80 Plus Platinum efficiency and fully-modular cable design.